Imagine you have 20 team members you’re expected to work well with. A traditional “strength-based” approach would have you believe that everyone is supposed to “play to strengths.” This means: if 10 of the 20 team members don’t obviously possess a strength in partnering with others (they perform best alone) you’ll get the greatest ROI by spending time with the 10 people who have demonstrated working well together. . . and you will have to inform the other 10: You won’t be working with them anymore. That’s crazy – and could cost you your job. Because it’s impossible to have less than zero of the qualities you need to succeed in your work with others, the Degrees of Strength technique frees you to partner more effectively with everyone. 1) Identify a person with whom you want to form a stronger partnership. Partnering with others is a skill. (Many leave it to rhetoric.) This week, where will you prove your capability? And how will that build and develop those around you? What Degrees of Strength Is and Isn’t – Part 3. Verus Global CEO, Craig Ross, asks: Why would we focus on attributes like fear and jealousy that aren’t virtuous, when we can focus on greatness? Click here to watch. 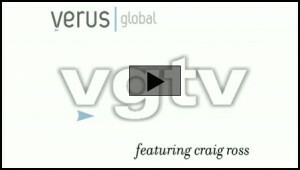 Listen to Craig’s Great Work Interview here. Read the Blog Business World review of Degrees of Strength here.